Even rock stars get star-struck. Meeting heavy metal icon Brandon Bullet is a dream come true for Tommy Blade. 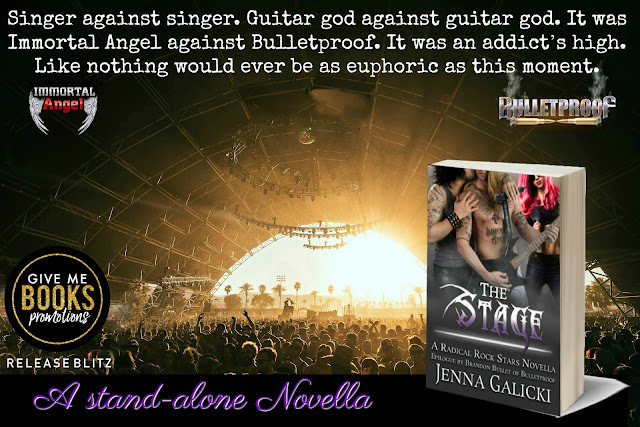 When Immortal Angel decides to add Tommy’s rock star idol as a guest singer to their set at the Get Rocked Festival, sparks fly and egos collide. Angel Garcia, Immortal Angel’s flashy frontman, isn’t happy about sharing the spotlight or Tommy’s attention. That all changes once Angel has a mind-blowing rehearsal with the charismatic lead singer of Bulletproof. The sexual chemistry on stage between Angel and Brandon is something Tommy never counted on. Now he’s forced to watch his husband and his idol strut on stage together and share a connection that, up until now, only he and Angel shared. Now, the guest appearance by Tommy’s rock star idol just lost most of its appeal. Commissioned to design custom-made rock and roll attire, even Angel and Tommy’s wife Jessi gets one-on-one time with Brandon Bullet. Taking a back seat wasn’t on the agenda. Add Angel and Brandon’s secret rehearsals together, and Tommy is left in the shadows wondering exactly what’s going on between the two. Like everything else in Tommy’s life, it all unfolds on stage. 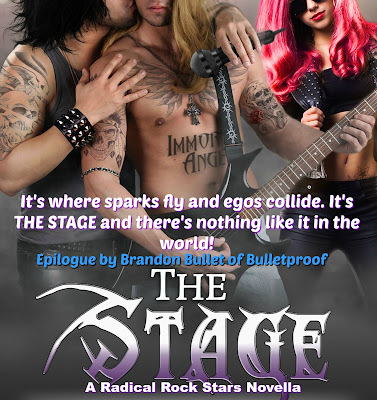 Epilogue by Brandon Bullet of Bulletproof. There was an obvious similarity. Both had long blond hair and piercing blue eyes, but Brandon was a few inches taller than Tommy, and his shoulders and chest were broader. And he had a scruffy jaw and wild wavy hair, whereas Tommy was mostly clean shaven and had soft flowing tresses. “They’re hardly mirror images. Tommy’s an Adonis. Brandon looks like James Hetfield from the eighties.” Considering how much Tommy loved Metallica, the comparison made Angel’s gut tighten. “You too?” Now Jessi was infatuated with Bulletproof’s lead singer, too. Is there no end to that man’s allure? 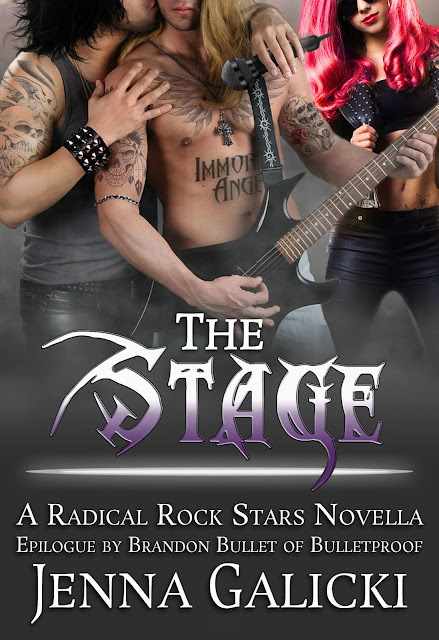 “You’re included in the sexiness.” She looped her arm through Angel’s and started to lead them toward the two blond rock stars, but Angel didn’t budge. “What’s wrong?” she asked. Angel cupped her face in the palm of his hands. He looked deep into her eyes, hoping she’d understand what was in his heart, rather than force him to verbalize feelings he didn’t know how to put into words. “It’s bad enough Tommy is overwhelmed by him. I don’t want you to be, too.” He kissed her with a possessive force that was unexpected. They were in a room full of gay men, yet he needed to claim her. “I always want to kiss you again.” This time he only placed a small peck on her lips. Otherwise, God knows what they’d end up doing. 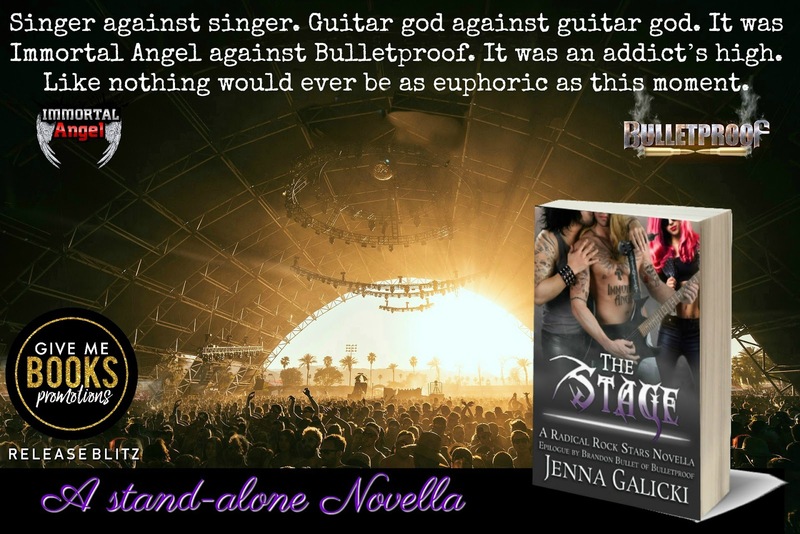 Jenna Galicki writes in multiple genres including m/m/f, m/f, and m/m. She is predominantly known for her Radical Rock Stars Series. 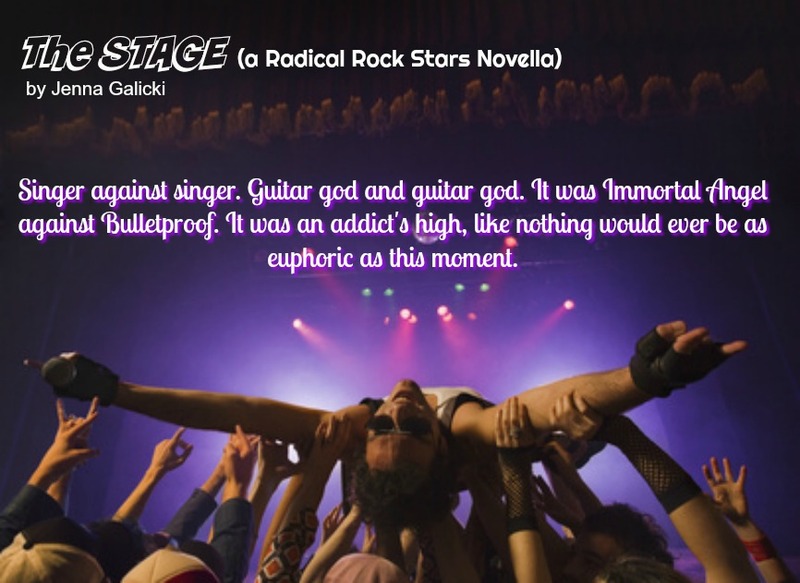 The Prince of Punk Rock (Radical Rock Stars Book 1) was a finalist in the 2015 Bisexual Book Awards. A native New Yorker, she now resides in Southern California. She's a Rottweiler enthusiast and an avid music buff. When she's not hunched over a computer, you can find her front row at a rock concert.